Off and on for three years, I’ve waled on the ’60s generation and its own obsession with its achievements. Not to mention its occasional turn to Generation Xers and those younger than us, as if to say, “Well, why aren’t you more like us?” For years I thought that this was the stuff of arrogance, a sense of superiority that the Baby Boom Generation felt toward us young folk. But I’ve come to the realization that it’s just the opposite, that the folks who marched with Dr. King and shut down Berkeley and Columbia were themselves attempting to fill shoes larger than Shaquille O’Neal’s size twenty-threes. And no, this isn’t about my generation. 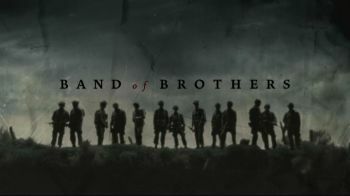 For the umpteenth time, I watched most of the Band of Brothers series on Memorial Day (it was on Spike TV, of all places). If it’s possible for me to have a man-crush on anyone, it’s with Damien Lewis playing Col. Richard Winters, as well as the man himself. So moving, so inspirational, and so hard to live up to. Especially since another 16 million men and women served in the armed forces during the Second World War. Millions more worked hard in factories and on farms, in shipyards and railroad yards to supply these folks with food, equipment and ammunition to fight. The generation of folks born between 1910 and 1930 are part of what Tom Brokaw and others have called the “Greatest Generation.” That’s going a bit too far, given that the generation born in the 1880s and 1890s helped make them this way. But given the times they grew up in — the Roaring ’20s, the Great Depression, and the Second World War — it’s hardly a stretch to say that as a generation, they rose far above their circumstances to achieve great things, to build and rebuild our country, to make the US as great as it would become after the war. Sure, there are a variety of tensions in this assessment, racial segregation and discrimination not being the least of these tensions. In this case, then, you could argue that the generation of Blacks born between 1915 and 1930 were the “Greatest Generation.” They’re the ones who marched on Washington in ’63, who helped do the leg work for Brown v. Board of Education, who fought segregation and discrimination to fight valiantly in World War II, where leaders like Dr. King, Malcolm X, and so many others emerged. To act as though Whites from this generation weren’t themselves fighting against racial segregation, economic inequality, and gender discrimination is to deny the tensions that existed in the world in which Baby Boomers grew up in, the mythically placid ’50s and early ’60s. 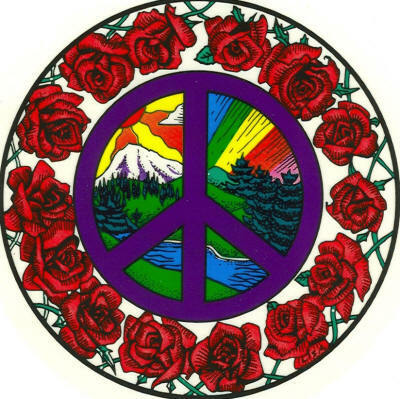 So yes, the ’60s generation was one that was radicalized by civil rights, Vietnam, social unrest, politics (and eventually, a distrust for government), it was also one that, for all its denial, was following in the footsteps of the generation before. It would be nice if folks from this generation would put their narcissistic biases aside and give a fair and complete assessment of their own achievements and their own role in creating the narcissistic generations that have followed in their footsteps. But they’re probably not going to do that. Oh well.